A niche product is a product targeting a specific section of a larger industry and market. Niche products are often (but not always) more expensive than more generic products. Because niche products are fulfilling a particular specialist demand, we find that demand tends to be more price inelastic. This enables a firm selling niche products to generate a higher markup and profit margin – this can compensate for the lower volume. Niche products can be provided by multinational companies, but they also give a better chance for smaller, private firms to be able to compete – because there is less need for economies of scale and high output. A niche cycling company targeting ‘fat’ cyclists. Speciality foodstuffs – e.g. particularly expensive and high-quality coffee. Customisable products, e.g. toys which can be individually tailored for children, e.g. choice of colours. Retro style – e.g. traditional 35mm film cameras and films have become a niche. There is no longer the same economies of scale, but some consumers still like to use it. Vinyl records – sold to music connoisseurs who value premium and authentic sound of vinyl records. Specialist sizes – e.g. 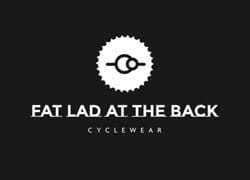 selling cycling clothes to people of larger size – like the UK company – ‘Fat Lad at the back.’ – A clothing company which focuses on meeting the needs of cyclists who don’t fit into usual skinny cycling clothes. Asian TV/ religious tv channels. Satellite tv has made it easier to provide specialist tv channels, which would not make it on to the mainstream tv. Diapers.com. A company specialising only in the sale of diapers (nappies). Previously diapers had been sold amongst drugstores and supermarkets where diapers were one product of many. This is now a specialist market. The internet has increased the potential for niche markets and niche business. The internet has reduced start-up costs and made it easier to reach a small number of niche customers. Niche markets are a classic example of long-tailed keywords. For example, the large market is ‘filter coffee’ a longer tailed keyword would be ‘organic filter coffee’. Even longer tailed keywords would be ‘dry-roasted organic filter coffee.’ A niche business could be setting up a firm to specifically deal with these long-tailed keywords. More choice for consumers. In many high-end products, such as clothes, food, drink – choice is as important as factors like price. 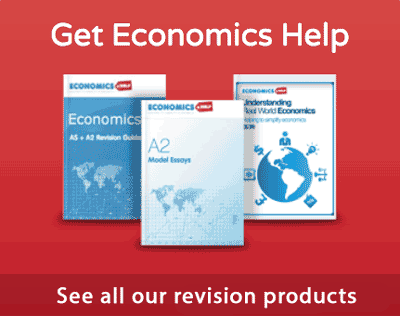 Economists may place great stress on price. But, if the price was the only factor, we would all shop at Primark and Pound shops. A more important feature is the ability to choose. Perhaps this is strongest in terms of food and drink. Yes, McDonald’s is very efficient, but it is formulaic and people will appreciate the ability to go to niche, private cafes, food shops. Quality. An attraction of multinational brands is that they can guarantee to customers a certain minimum standard of service. If you go to any country a well-known brand gives a guarantee of certain standards. However, many believe that this multinational scale prevents the product from being very high quality – or there is a lack of a personalised, individual service. This is where niche companies can improve on more generic brands – they can offer improvements based on region, personalisation and greater individuality. Competitive pressures on brand names. Many brand names can develop monopoly power through there extensive brand loyalty. This can lead to the abuses of monopoly power, such as higher prices and fewer incentives. 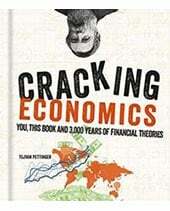 The growth of niche companies is an additional competitive pressure on the big multinationals. It can force them to think about a better individualised service and be more responsive to particular niche needs. Often big multinationals can end up doing niche products better than initial small firms. e.g. they can use their economies of scale to offer more sizes and choice of options. Greater specialisation within consumer product industries. One thing that may happen is we get a greater number of sub-markets. Previously we had a fast food industry dominated by the like of McDonald’s, Burger King – now there is a much greater choice with sub-sections like healthy eating fast food, vegetarian fast food. Local product fast food. Labour markets. Niche products offer more opportunities for entrepreneurs who wish to run their own business and not just work for a large multinational. This may lead to increased labour productivity as people feel more connected working for a niche which they feel a greater attraction to. Lack of economies of scale. 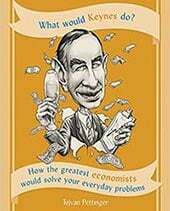 Niche companies will not have the same economies of scale, and so it could lead to higher prices for consumers. In some industries like coffee, this may not matter too much. Many consumers may prefer the higher prices if the quality is better. But, other consumers may end up paying higher prices they don’t particularly want to. Quality may suffer. Big brand names are successful because they have concentrated on an efficient way of delivering the desired product, Smaller niche firms may be more inefficient and not as good quality. However, if they are not as good quality, it is hard to see how they would be able to break the stranglehold of bigger brand names. With a niche product, you have to be good or you won’t be able to establish a market. Overall, it is a positive development that many consumer product markets have seen the rise of niche brands which are able to appeal to a section of the market, not adequately covered by bigger multinationals. Helped by the internet, smaller private firms are able to meet particular niches. 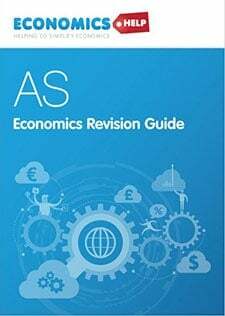 For example, 20 years ago, I would not have been able to be publishing and selling exam revision guides. 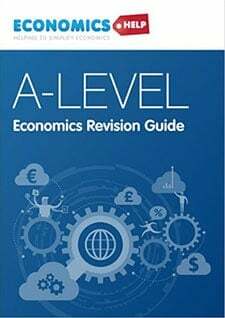 But, the internet has enabled a very specific specialisation in A-level economics – in a sense www.economicshelp.org is partly competing with the old-fashioned textbook industry, but also creating a new sub-section of products and services. Why do firms grow in size? Very good explanation.It helped me a lot to understand exactly what niche products are.Thanks a lot. Thanks a lot, it helped me with my homework about niche market.